Treat yourself with the best lifestyle and wellness services that are truly beneficial to you. Presence of Wellness offers a tailor-made consultation designed to each person’s body type and individual needs. Call Presence of Wellness in Tampa and surrounding area today and ask how our holistic nutritionist can lead you toward a healthier life. Our holistic nutrition program is designed to offer you the maximum amount of long-term health benefits. After all, your wellbeing is our top priority, and when you come to us, we’ll take the time to develop a treatment plan that takes your specific goals and concerns into account. Let the food you eat work for you. Call Presence of Wellness in Trinity, FL today and ask how our holistic nutritionist can lead you toward a healthier life. This soothing therapy works on your feet, which are at the root of your nervous system. Reflexology may help facilitate increased blood flow and relieve tension and excess toxicity in the various bodily systems. Through gentle manipulation, your practitioner will strive to activate the targeted regions in your body that are related to your specific areas of concern. 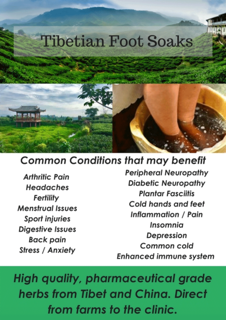 Reflexology treatments at Presence of Wellness go way beyond a foot massage to help you relieve specific sources of pain and help release tension.We serve clients in the Tampa Bay, Trinity, and Pinellas area. Contact us today to arrange a session. A daily Abhyanga practice restores the balance of the doshas and enhances well-being and longevity. Regular Abhyanga is especially grounding and relaxing for Vata dosha imbalances, but everyone can benefit from this practice. In this session you will receive a full Abhyanaga treatment with custom organic ayurvedic oils based on your body type and needs. Take home notes will be provided to client so that they can continue to benefit from the gifts of self Anhyanga. “The wisdom behind self massage regularly does not become affected much even if subjected to accidental injuries, or strenuous work. By using oil massage daily, a person is endowed with pleasant touch, trimmed body parts and becomes strong, charming and least affected by old age. Shirodhara treatment is fast becoming the most talked-about and most-requested Ayurvedic treatment offered by leading-edge health spas and alternative health practitioners. The word “shiro” means head and the word “dhara” means stream. This beautiful, deeply relaxing treatment involves pouring a stream of warm oil over the forehead. Shirodhara is a powerful treatment for relieving mental stress and nervous tension. Shirodhara works primarily on the mental sheath or “manomaya kosha” as it is referred to in Ayurveda. It is here that the mind holds on to past impressions that create imbalanced desires and habitual patterns of behavior. These impressions are held captive in the limbic system of the emotional cortex of the brain. To give you a youthful body and a clear mind, a below daily routine is recommended. You can still maintain your every day activities that will surely bring lifetime benefits. Feel the warmth of the infrared rays that deeply penetrate your body. Our full-length Bio Mat Amethyst Therapy penetrates at the cellular level, giving lots of benefits in addressing a wide range of health issues. It can also provide muscle relief and joint pain as well as repair and regenerate certain areas of the body. With its several benefits, good health and improved body function will help you achieve your personal wellness goals. Natural stress, be it mental, physical or emotional, can certainly affects our health and daily living. Presence of Wellness will provide you with the most-effective ways of counteracting and reducing stress. No matter what your age or level of physical health, yoga can help you reduce the stress in your life and make you more flexible, focused and fit. At Presence of Wellness, we offer personal training, corporate programs, and classes to students of all levels, in a space designed with love and attention to help you explore the basics and finer aspects of yoga. Yoga leads to benefits such as delayed aging, higher energy levels and toned muscles, and that’s not even mentioning the benefits to your mental health and stress levels! So don’t put it off–call us at once to start looking, and feeling, more beautiful today. Detoxifying and giving yourself for a cleanse can now be received at home for 4 days. We offer detoxification at your most convenient time of the year. Fall Cleanse comes with a kit including all food, tea, oils, and one-on-one 45 minute consultation to start your cleanse with Simone. Winter special price: $150. Cleanse Kit: USDA Organic Created to support you in a 7 day home detox. In TFH muscle testing is used as a method of biofeedback to identify imbalances in the body’s energy system. Using a holistic approach, we re-balance the body’s energies and activate the body’s intrinsic healing process so that the body can better heal itself. The TFH process can also assist individuals to better achieve their life goals and true potential with goal specific balancing. A healthy way to wellness: Reiki is a Japanese technique for stress reduction and relaxation that also promotes healing. It is administered by “laying on hands” and is based on the idea that an unseen “life force energy” flows through us and is what causes us to be alive. If one’s “life force energy” is low, then we are more likely to get sick or feel stress, and if it is high, we are more capable of being happy and healthy. The application of the Dolphin to key acupuncture/trigger points outlined in our protocol manual is called Microcurrent Point Stimulation or MPS Therapy. MPS combines the principles of western neurology, stress management, integrative dentistry, and scar therapy with Eastern acupuncture philosophies. The “pearls” of these therapies are then woven into unique easy-to-apply protocols that reduce STRESS and chronic pain throughout the human body. Dolphin and MPS therapy are the perfect adjunctive or stand-alone modality to reduce stress, relax patients, and improve functional outcomes. Professional can review the research below to understand how MPS integrated with their own therapy skills can significantly improve patient outcomes. MPS provides for a scientifically documented 75-80% improvement in pain relief & functional outcomes. MPS is the perfect adjunctive modality for any therapy setting. Apply it prior to massage, manual mobilization, injections, dry needling or any exercise program for significantly accelerated patient healing & functional outcomes. As a stand-alone modality or adjunctively combined with other therapies, MPS is difficult to beat using conventional modalities for pain relief. Several recent studies prove the superiority of MPS therapy for chronic pain. Enjoy 30 minutes of this soothing foot soak for only $40.00. We use the highest quality of Asian herbs to give you the best experience. This treatment helps relieve conditions such as headaches, arthritic pain, digestive issues and more. Now offering services with Genova Diagnostics. Many services covered by insurance. Cost effective, immediate results and incredible knowledge. Inquire us for more details. Learn how to prepare a delicious and nutritious foods that perfectly suit to your diet needs. We can help you formulate a meal that balances your body energetically and physically with the help of principles of Ayurveda. We will go visit and assess your pantry for us to evaluate what you are eating and cooking. Let’s take a trip with you at your favorite grocery store. We will provide helpful guidance about the food and items that you buy and how these are beneficial to your health. To inquire more about our services, please call us at 727-372-3333. To send us an online message, you may use our online inquiry form.